Jump in and make a splash! 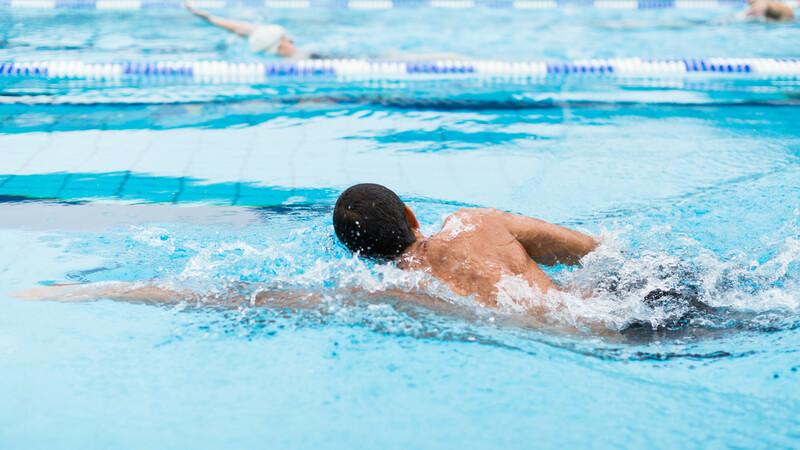 Swimming is an all-round workout, so a great way to get in shape and feel good. You might want to learn how to swim, try out a different stroke, or maybe you just love being in the water – swimming really is for everyone. You can swim in an indoor pool, in the sea (brrr) or in open water, like a lake or pond (like Hampstead Ponds – yes you can swim in a pond in London)! You can swim in different ways (called strokes) – front crawl, backstroke, breaststroke and butterfly. These strokes move you in the water in different ways and some are easier than others – they’re all a great way to workout though. You’ll definitely get wet, so make sure you bring a towel! Also bring a swimsuit or swim shorts and you might want some goggles too, to wear over your eyes – otherwise they will get sore from the chemicals! Some people prefer to wear a swimming hat or head cap, and if you’re considering outdoor swimming, some places will insist on a wet suit. If you’re interested in finding out more about splashing around, check out the Amateur Swimming Association website and get your towel ready!